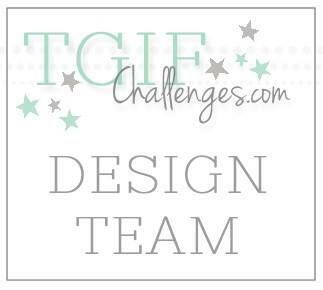 It's July, and that means there is a new challenge over on Catherine & Cathy Create. 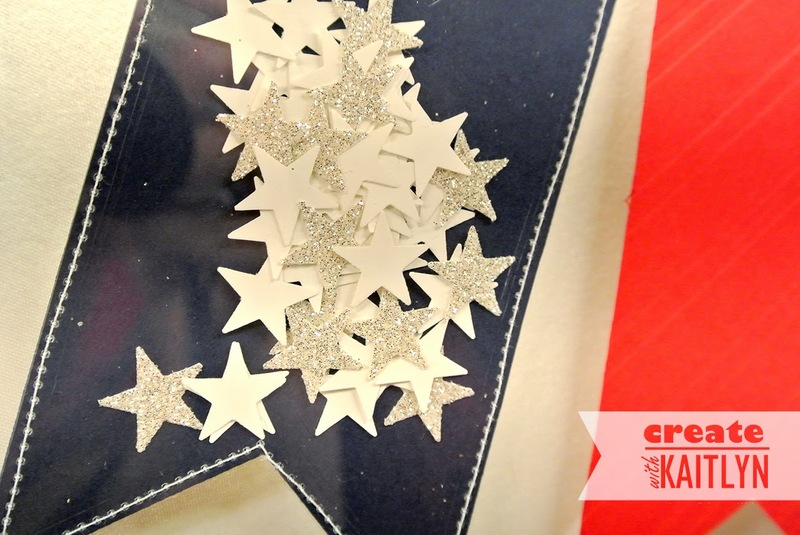 The theme this month is National Pride, which is perfect with the 4th of July right around the corner. For my project, I decided to interpret the American flag into a festive banner. Isn't it adorable and perfect for this time of year?!?!? I used the largest die from the Banners Framelits to cut out my flags in Real Red, Night of Navy, and Whisper White. This made it super easy to make all the pieces exactly the same size. Since I had the red, white, and blue, I then went on to add the stars and stripes. I made a little pouch out of the Night of Navy Banner by sewing a Window Sheet banner to it. Then I filled it with fifty stars, thirteen of which are (the old) Silver Glimmer Paper. The little star punch in the new Itty Bitty Accents Punch Pack was the perfect size! I embossed the Real Red pieces with the Stylish Stripes Embossing Folder to get a great subtle stripe pattern. 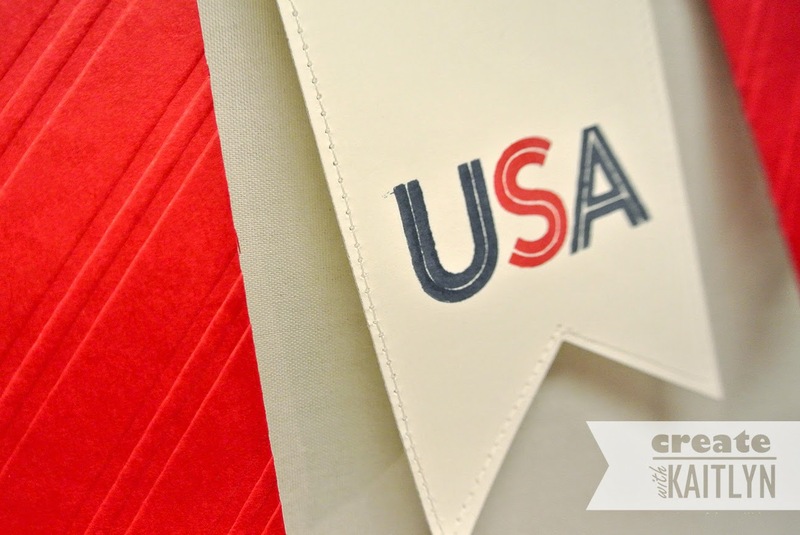 I then stamped "USA" on one of the white banners using the Metro Type Alphabet set. The photopolymer makes lining up the letters a breeze! I finished the banner off by stitching around the white pieces to pull in the stitching on the blue piece. This was a fairly quick project that couldn't have turned out any better! 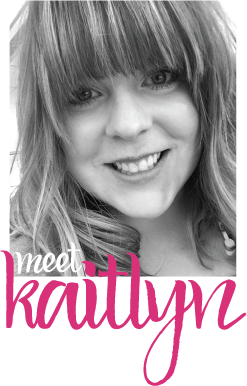 Head on over to Catherine & Cathy Create to see more National Pride projects!